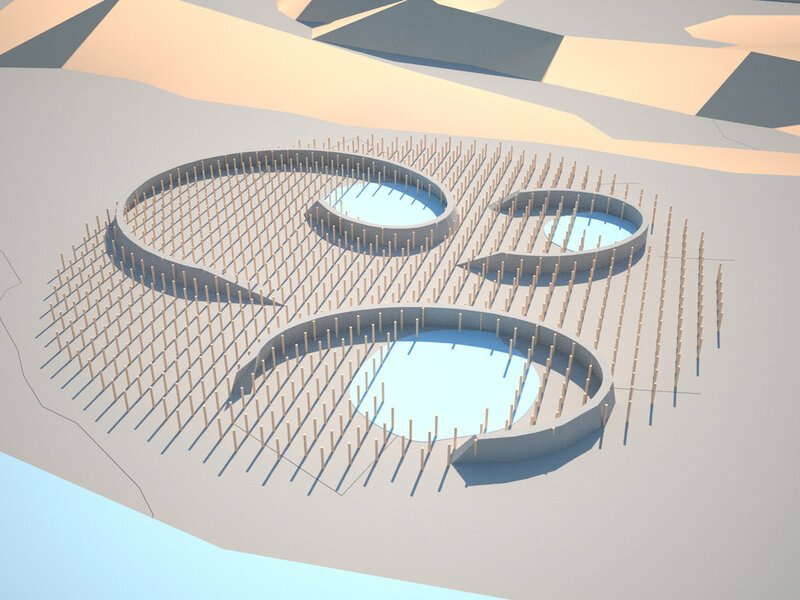 Living Coastline is an interactive art work which has been collaboratively created by astudio, Computer Sciences at Brunel University, Aarhus School of Architecture and Therapy In Nature for the international Wadden Tide exhibition of contemporary art works, at the Danish Blåvand coast next to the Wadden Sea. Forces of the tidal rise and fall of the sea levels and the wind work together to change the space over time. 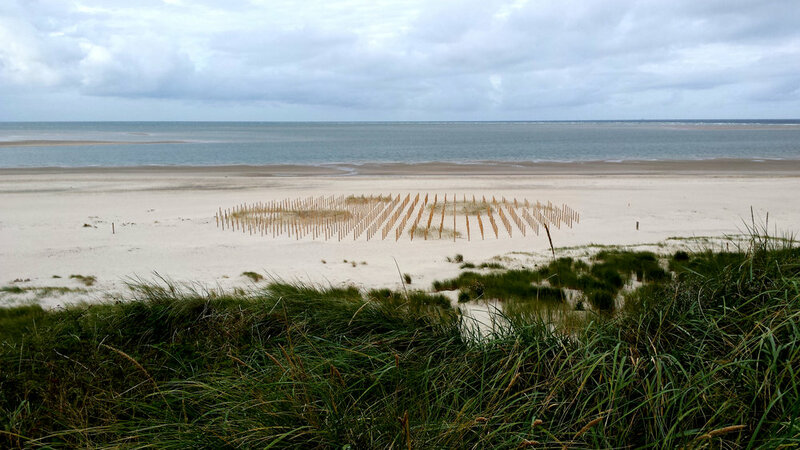 Within a reinforced grid of 1,000 wooden poles, multiple spiral dunes created from sand and planted grasses capture the rising tide. Brunel University developed an app triggered by a series of QR codes which are located at several points within the art work. The app invites visitors to react immediately to their surroundings by documenting, tweeting or uploading pictures and by answering specific questions, developed with Therapy In Nature. These responses feed into a behaviour study building a picture of the effects of the space and the natural environment over time.